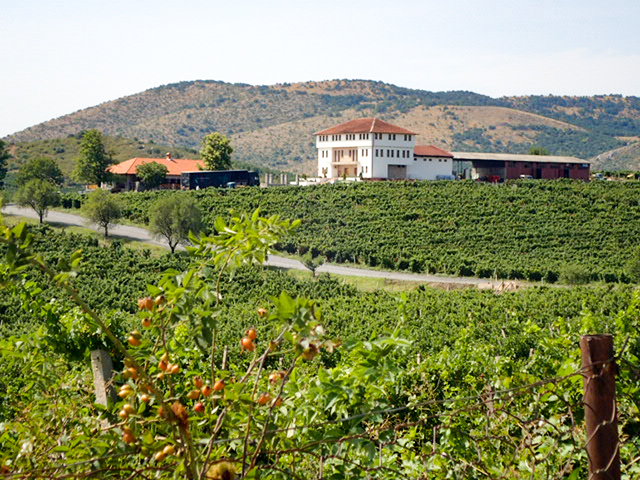 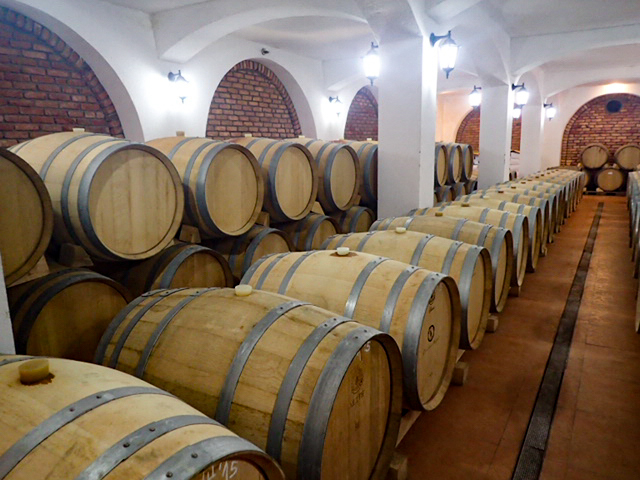 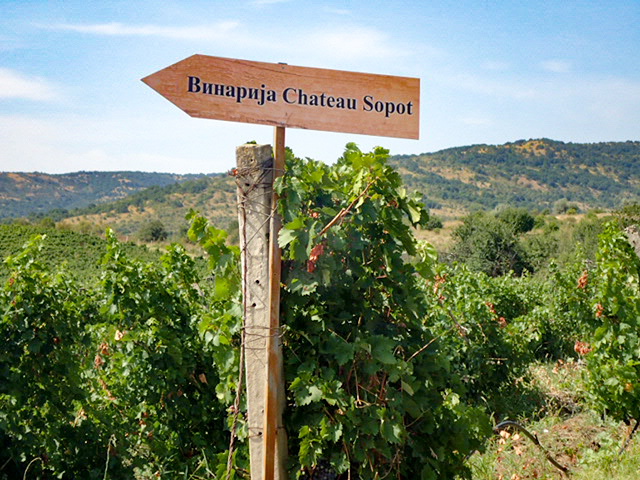 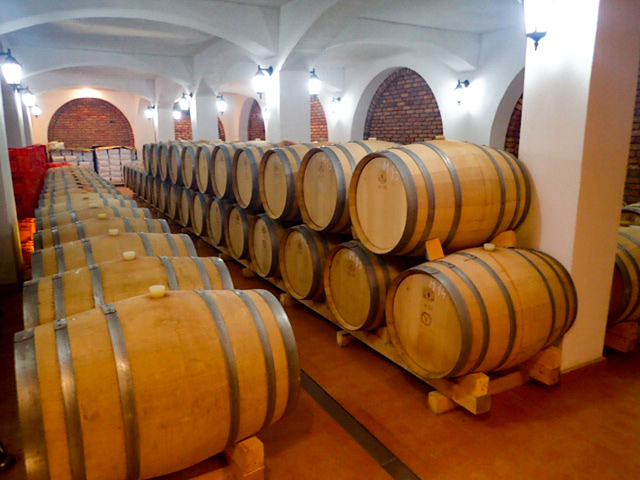 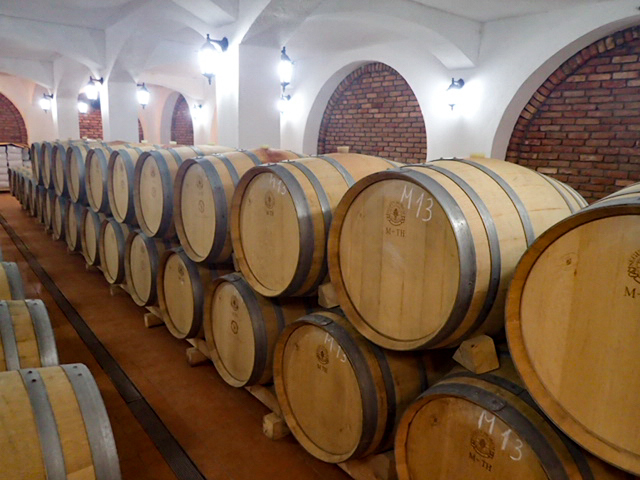 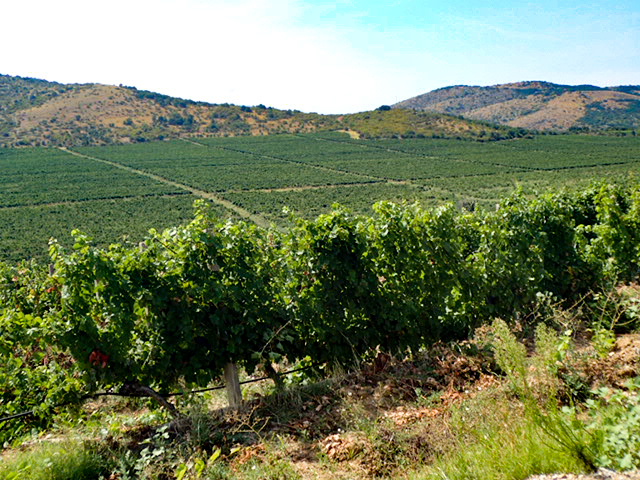 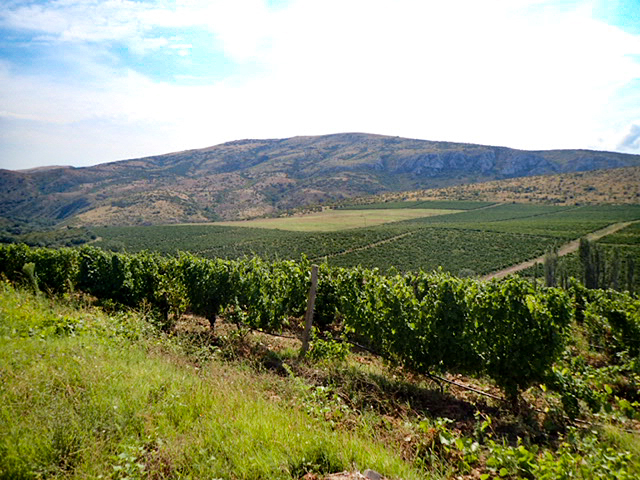 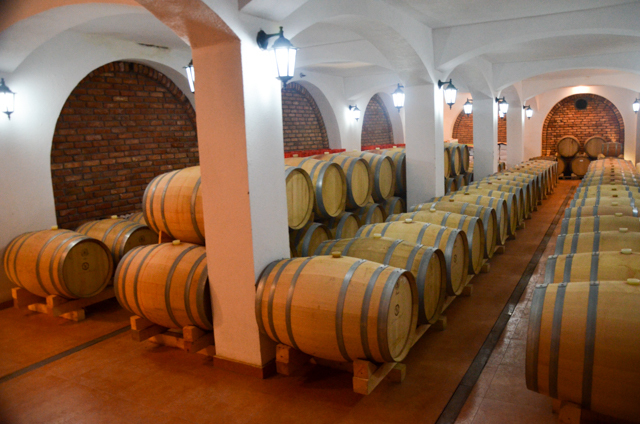 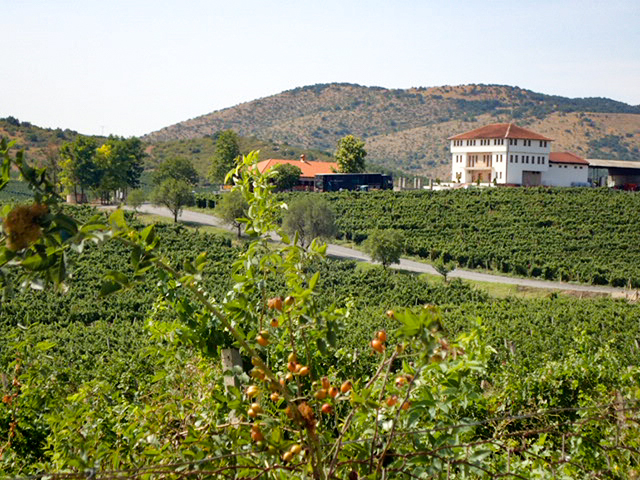 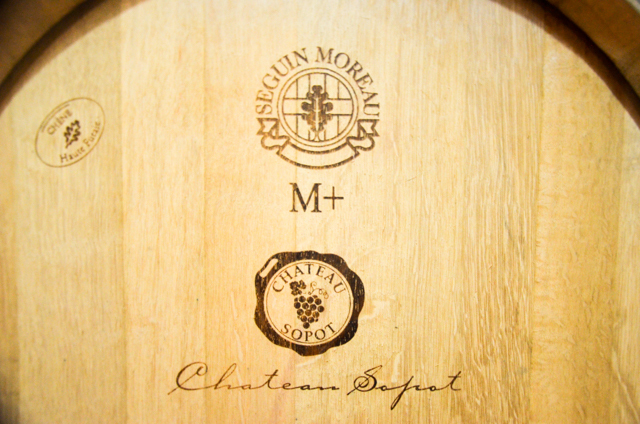 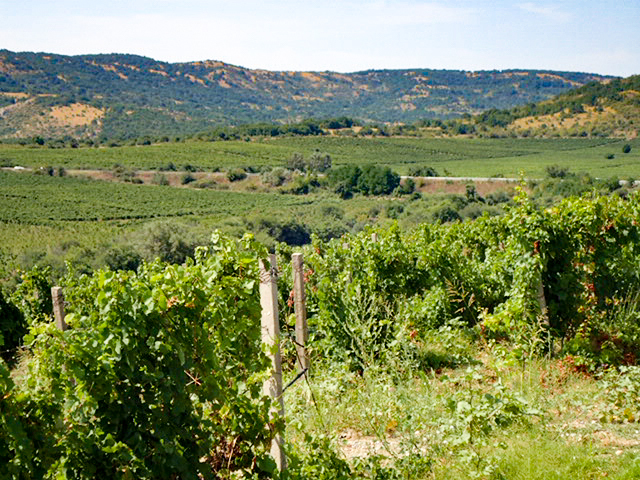 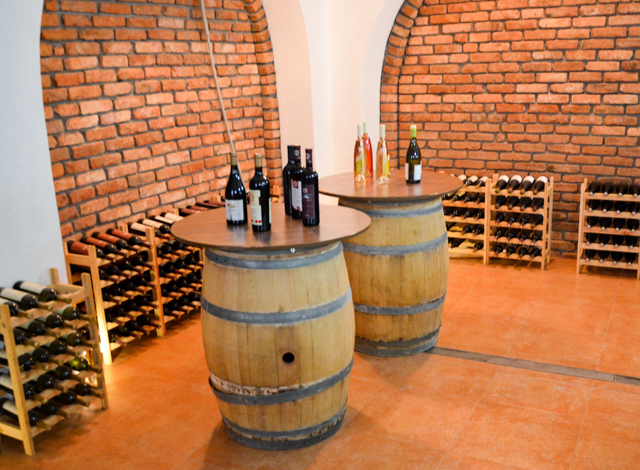 Chateau Sopot, founded in 2006, is a boutique winery located near Lake Mladost in the Veles Wine District. 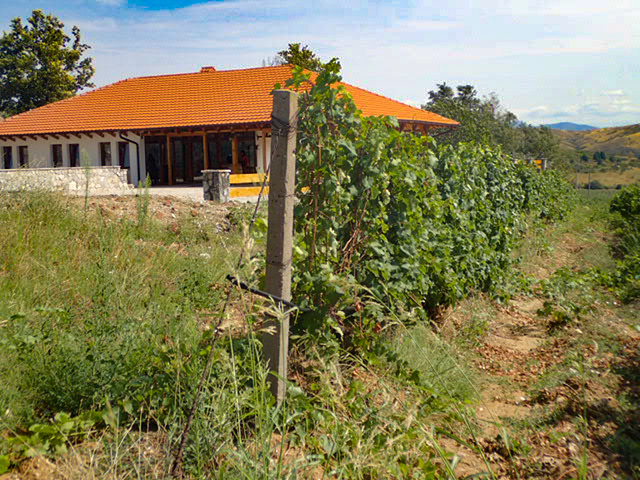 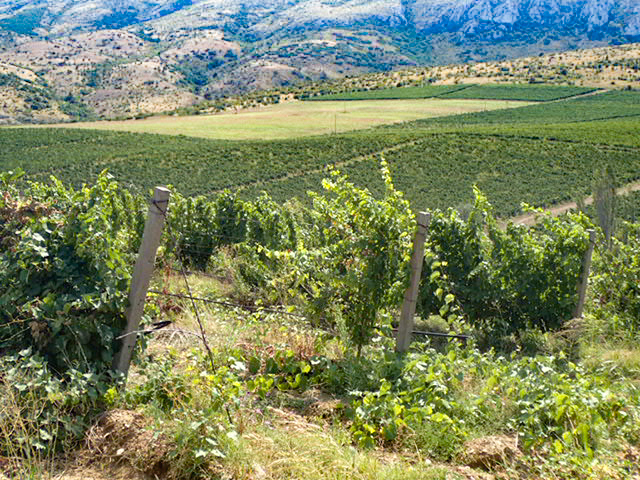 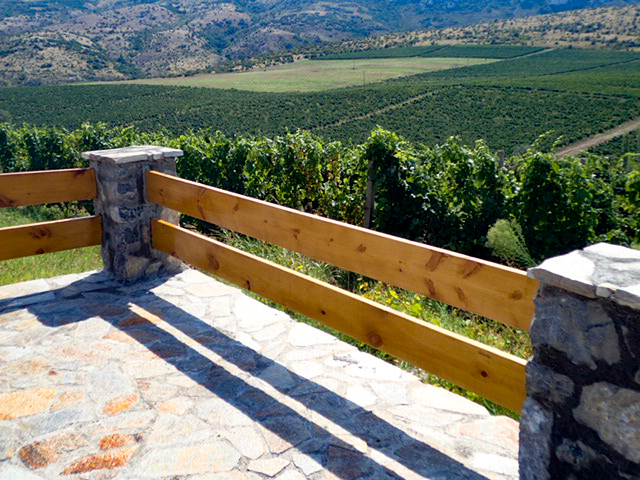 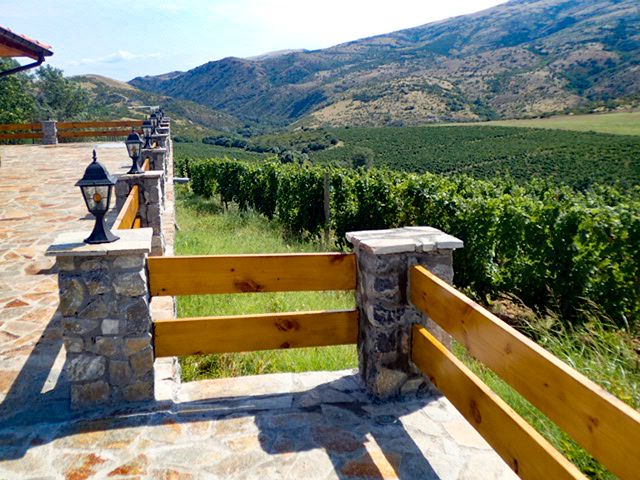 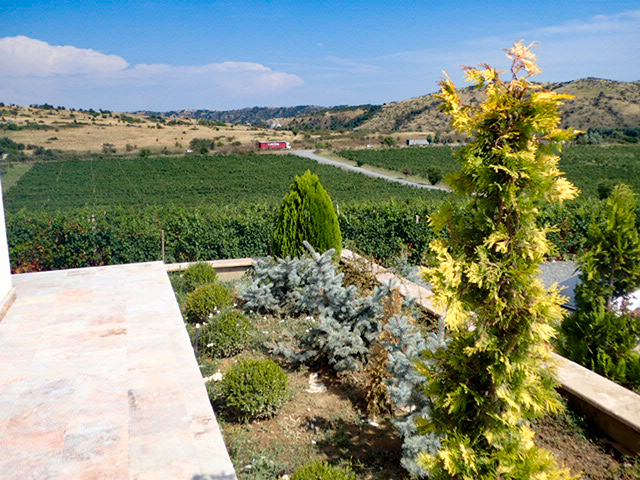 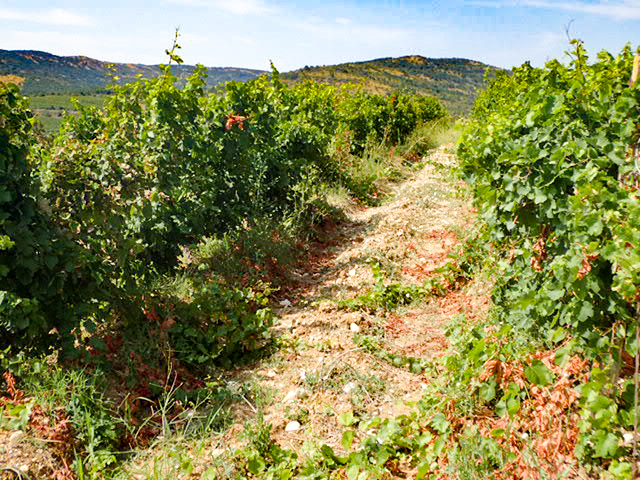 The winery’s mission is the crafting of exclusive wines for wine lovers’ indulgence and their wines are available only in elite restaurants and hotels in Macedonia and abroad. 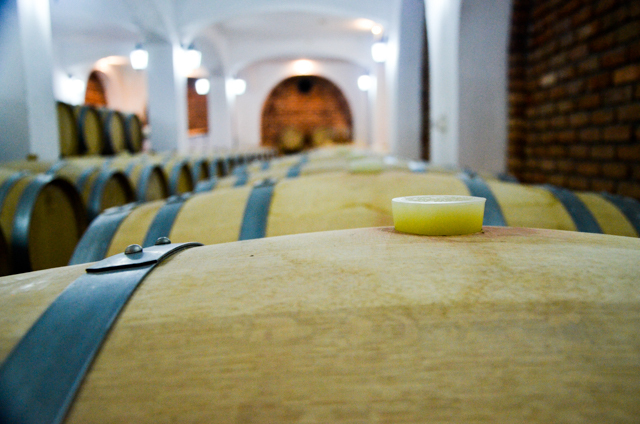 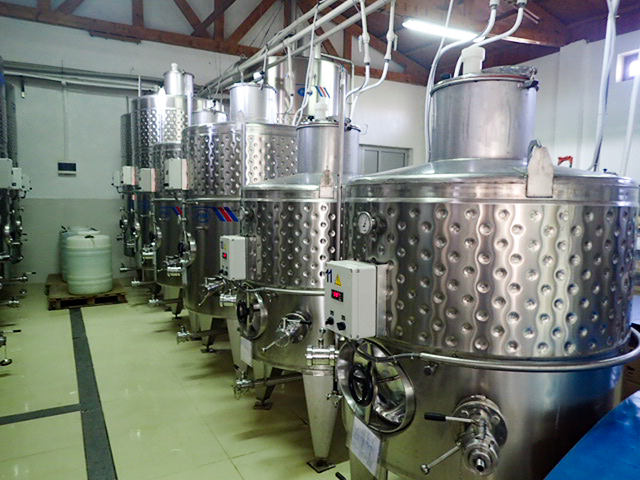 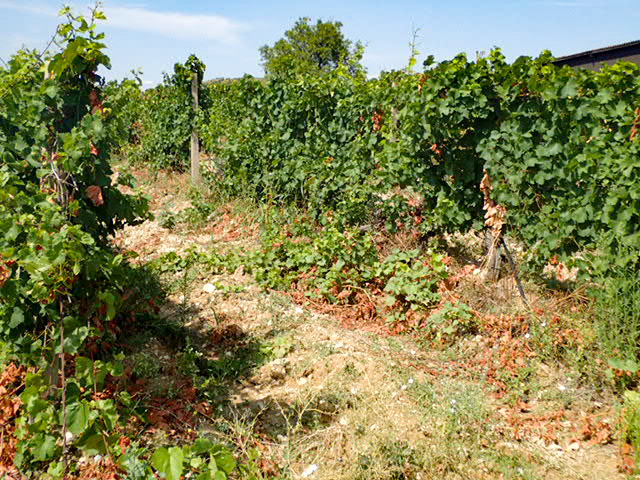 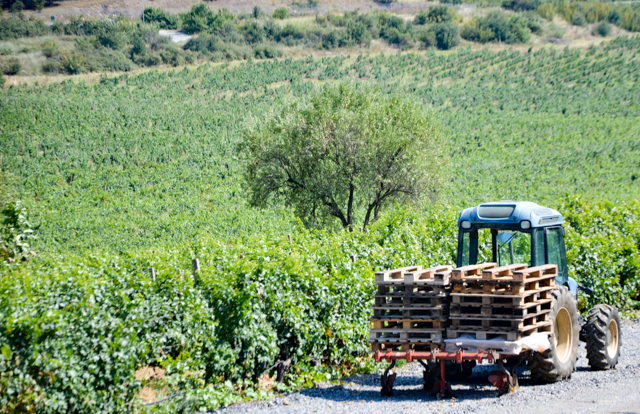 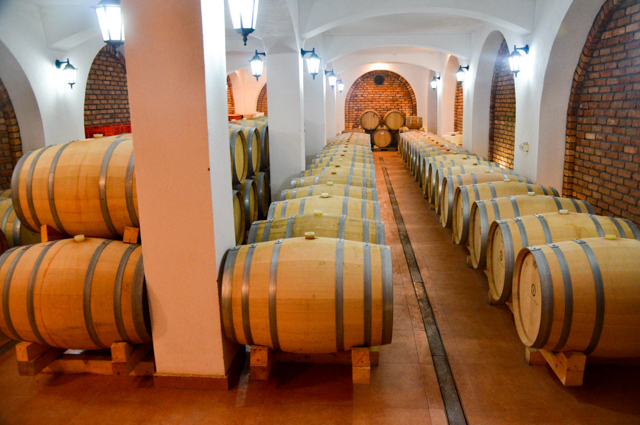 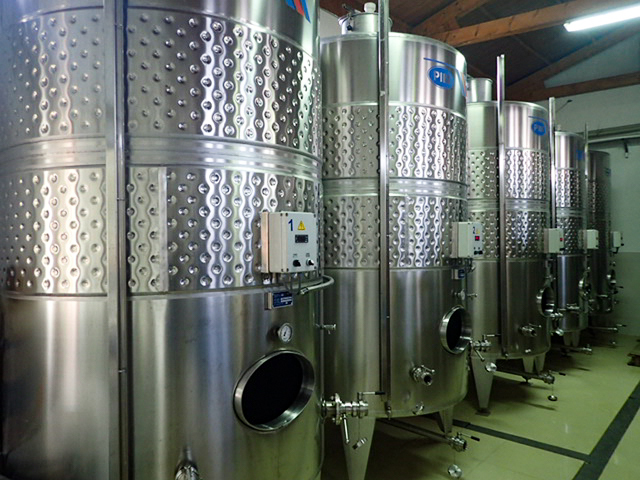 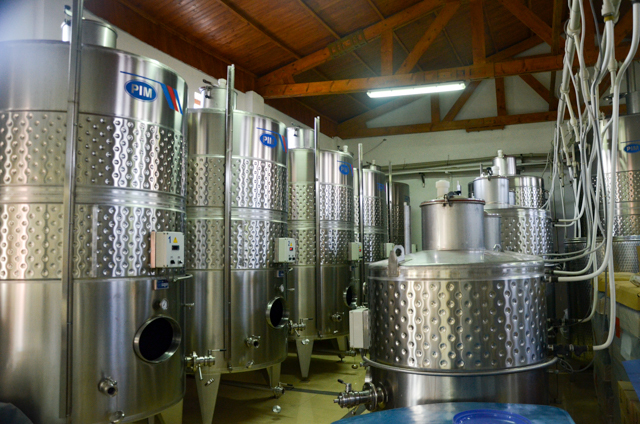 This artisanal winery has a capacity of 70,000 liters, focusing on quality and not quantity. 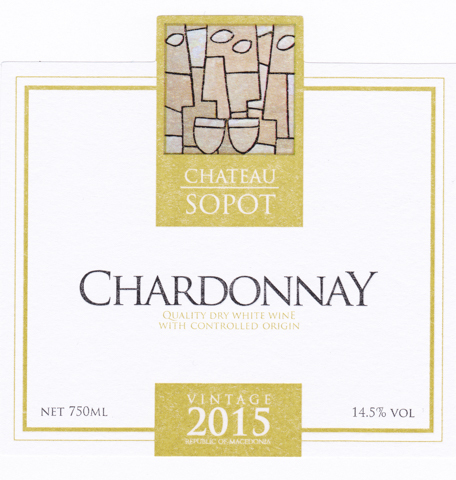 Chardonnay – this elegant fruity wine is crafted from select hand-picked grapes from their vineyards by the Vardar River delivers a bouquet of apples and herbal honey and transcends into a long lasting and enjoyable finish. 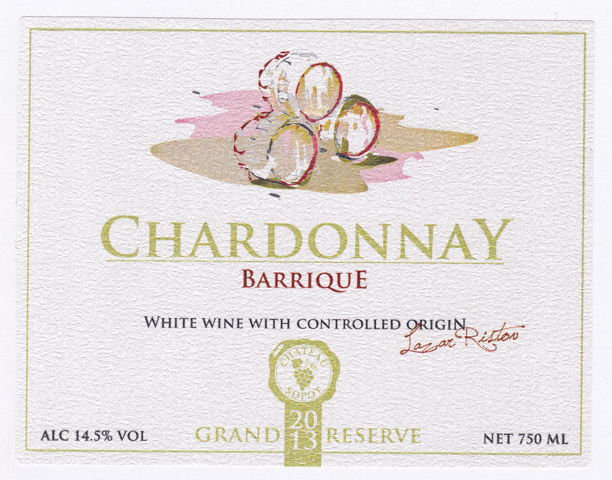 Chardonnay Barrique Grand Reserva – Their ultra-premium Chardonnay that has been aged for two years in French Oak barrels is full-bodied, wonderfully dry and exhibits aroma and palate of exotic tropical fruits. 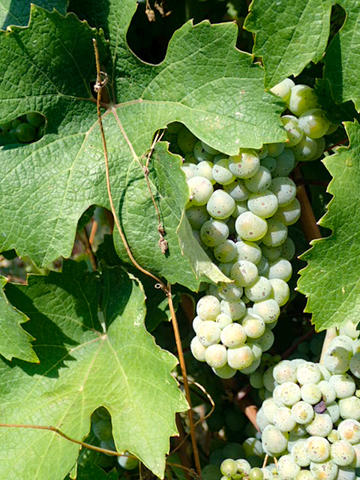 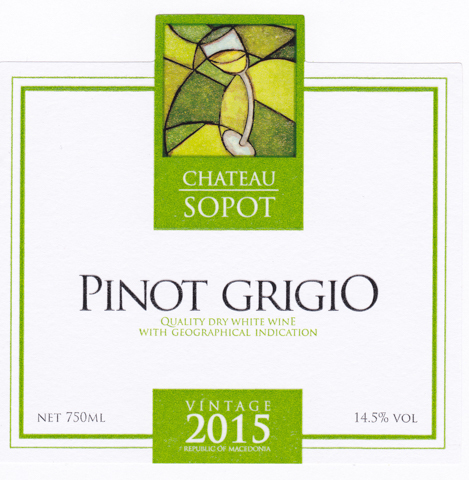 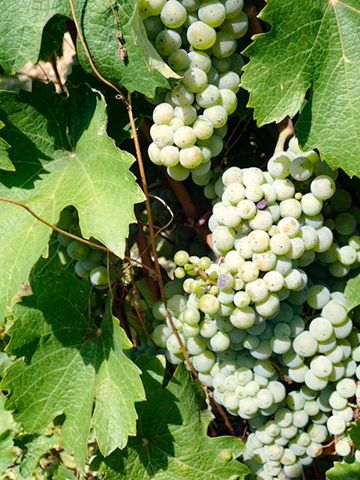 Pinot Grigio – a medium-bodied white with a delicate fragrance and a palate of green apples, and true to the varietal there are touches of lemon-citrus flavors. 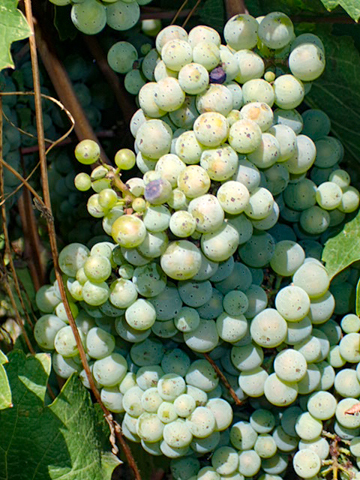 Rhein Riesling – another great white from the vineyards by the Vardar that is crisp, and rewards with a green apple and peach freshness. 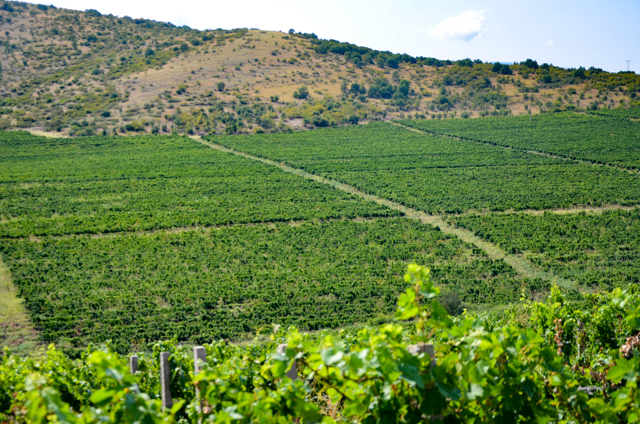 Temjanika – a semi-sweet wine with creamy texture with quince and elderberry blossom aromas and yellow fruit flavors. 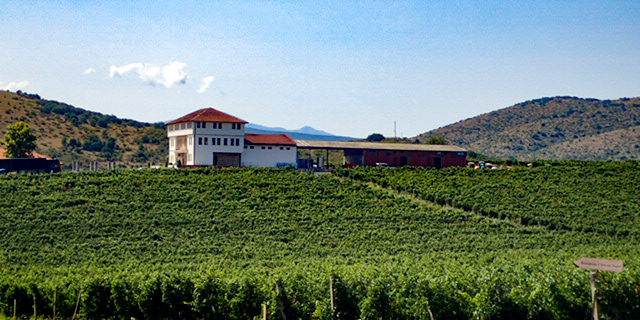 Traminec – a splendid rendition of the Gewürztraminer. 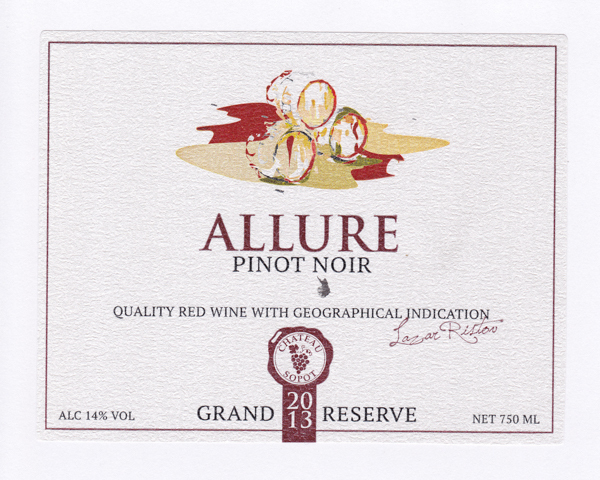 Rosé from Pinot Noir – a dry wine with wonderful red fruit aromas, strawberries and red raspberries. 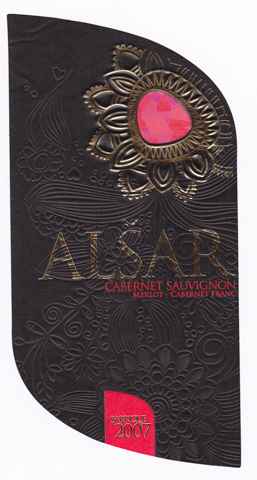 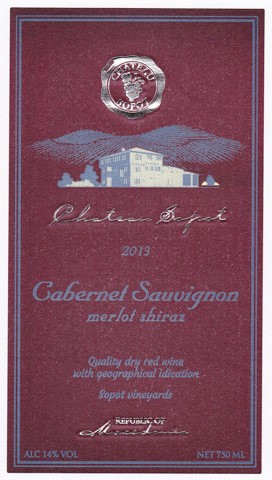 Cabernet Sauvigon, Merlot, Shiraz – bold deep dark red color that is full-bodied, complex and explodes into blackberries, plums, spice and other forest fruits. 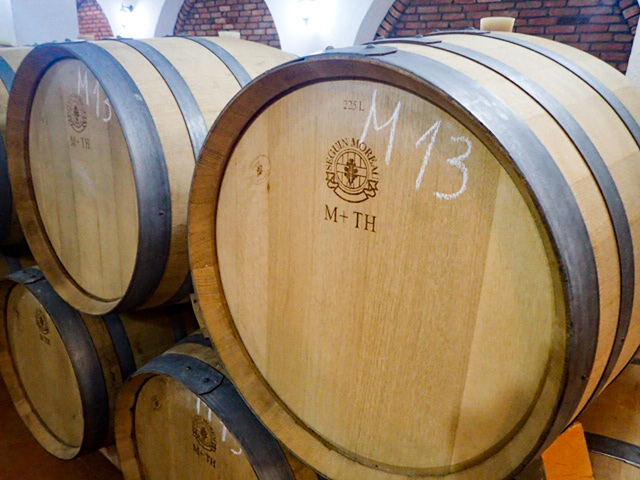 Cabernet Sauvignon Barrique – Reserva, a full-bodied highly structured wine with superb mouthful and long aftertaste that delivers a parade of flavors such as cherries, blueberries, dried plums and chocolate. 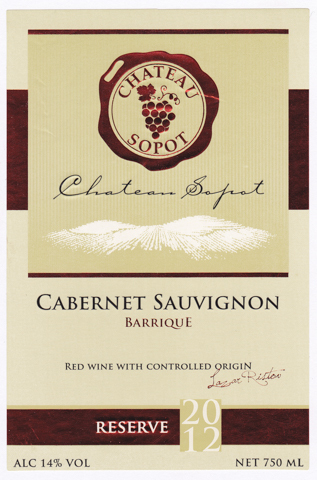 Cabernet Sauvignon Barrique – Grand Reserva, this ultra-premium Cabernet Sauvigon has been aged for two years in French Oak barrels is full-bodied with a highy developed tannin structure that exhibits luxurious notes of black currant, cherries and chocolate. 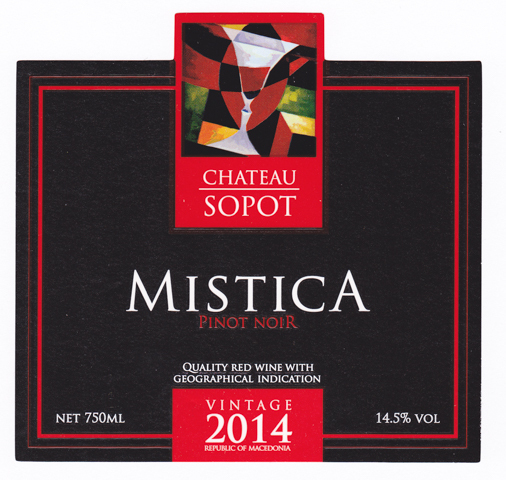 Mistica – An exceptional dry red wine crafted from Pinot Noir that is superbly balanced, well-round and rich in cherry, strawberry, red currant and plum flavors. 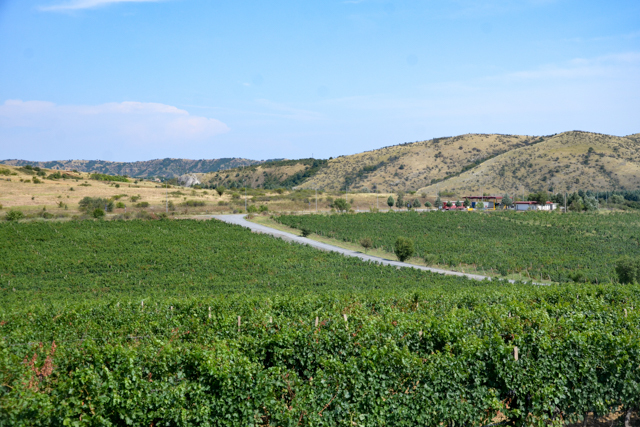 Vranec – deep dark ruby color, full-bodied wine that delivers a personal guided tour of the fruits of the Black Forest.